Would you like to improve the results from your sales Presentations? In this show, I am delighted to welcome Patricia Fripp CSP,CPAE to help us learn the mistakes made in sales presentations and how to avoid them. Also how to improve your conversational presentation outline, the quality of your questions, the power of your client examples and how razor sharp specificity gives you a competitive edge when delivering Sales Presentations. 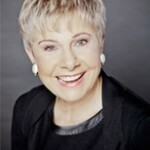 Patricia is an award-winning keynote speaker, sales presentation skills authority, and executive speech coach. Meetings & Conventions magazine named her “One of the 10 most electrifying speakers in North America. She was the first female President of the National Speakers Association. Patricia is now virtually everywhere with FrippVT her highly interactive, state-of-the-art virtual training in Powerful Persuasive Presentations. Her brother is Robert Fripp the internationally acclaimed guitarist. Join us for what will be a very special show. Patricia Fripp, CSP, CPAE is an award-winning keynote speaker, sales presentation skills authority, and executive speech coach. 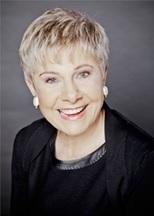 Meetings & Conventions magazine named her “One of the 10 most electrifying speakers in North America.” Kiplinger’s Personal Finance wrote “Investing in Fripp’s presentation skills training is one of the best investments in you,” She was the first female President of the National Speakers Association. Patricia is now virtually everywhere with FrippVT her highly interactive, learn-at-your-own pace, state-of-the-art virtual training Powerful Persuasive Presentations. On a personal note she was born in the UK and her brother Robert Fripp is an internationally acclaimed guitarist.